Mumbai: Mumbai residents have decided to on the poll issue they will target the government ahead of 2019 elections. Over 10 lakh residents, a sizable vote bank have come together and have made it clear that they will use Metro 2B line as a poll issue. A meeting was organized on Sunday in which residents from Juhu, Bandra, Santacruz, and Khar assembled at Jamnabai Narsee School in JVPD. They met to work out a plan involving auto rickshaw and taxi unions as well as Advanced Locality Management (ALMs) and residents’ groups in their movement. The bone of contention is the long-standing demand for an underground Metro 2B line. This will start from DN Nagar in Andheri to Mandela in Mankhurd via Bandra. Residents have made it clear that they will take it up as a key issue during the upcoming 2019 elections. The residents have threatened that they are pledging to exercise NOTA (none of the above) option if their demand is not accepted by the government. The residents of the western suburbs from Bandra, Khar, Santacruz, and Juhu gathered at the Jamnabai Narsee School in JVPD on Sunday to chalk out a strategy to involve taxi, autorickshaw unions, all the Advanced Locality Management (ALMs) and residents’ groups in their movement. Even well-known names like Former Rajya Sabha MP Javed Akhtar, eminent urban planners PK Das and Nitin Killawala and architect along with Sena MP Gajanan Kirtikar were there in the resident meeting. Kirtikar has assured that he would take the responsibility of taking the citizens’ delegation to Chief Minister Devendra Fadnavis. The detailed project report was presented by Mumbai Metropolitan Region Development Authority (MMRDA) by Killawala. It was subsequently approved in August 2014 in which decision relating to underground was taken for Metro 2B line. The third option was a separate corridor with Dahisar to DN Nagar elevated and DN Nagar to Mankhurd underground. As reported in Mumbai Mirror, to keep away from land acquisition for ramping down and other construction-related and social issues, the section was proposed as completely underground with a depot at Oshiwara. Killawala shared that MMRDA had fully prepared DPR by RITES (Rail India Technical and Economic Service) and approved for underground metro on August 2014. He said that they would like that report to be put into practice. The planner gave misleading information on the cost and time factor which is now being challenged in court added Killawala. Hansel D’Souza, member of Juhu Citizens Welfare Group in an interview with Mumbai Mirror said, “If a party changes, does it mean the logic and engineering has changed? Residents had even spent Rs 12 lakh in 2012 and submitted an IIT report which proposed underground metro. MMRDA too approved it in August 2014. How can the present government reverse this plan?’’ asked D’Souza. The trio – Ashoke Pandit, Gautam Rao and Anandini Thakoor spearheading this movement informed that the Western suburb pays Rs 3,500 crore in property taxes. They also said that population is heading northwards by five percent and traffic density by 15 percent as compared to South Mumbai, but they are getting an underground Metro. The trio shared that the authorities have increased stamp duty by 1 percent on property sales here which will be invested in building the Metro. “This is just an elitist discrimination. 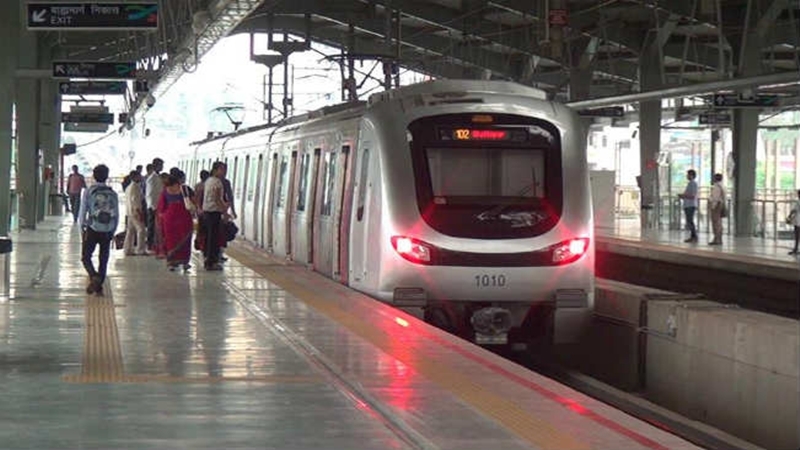 We have submitted in court how the elevated Metro has failed in the Middle East,’’ said Rao to Mumbai Mirror.